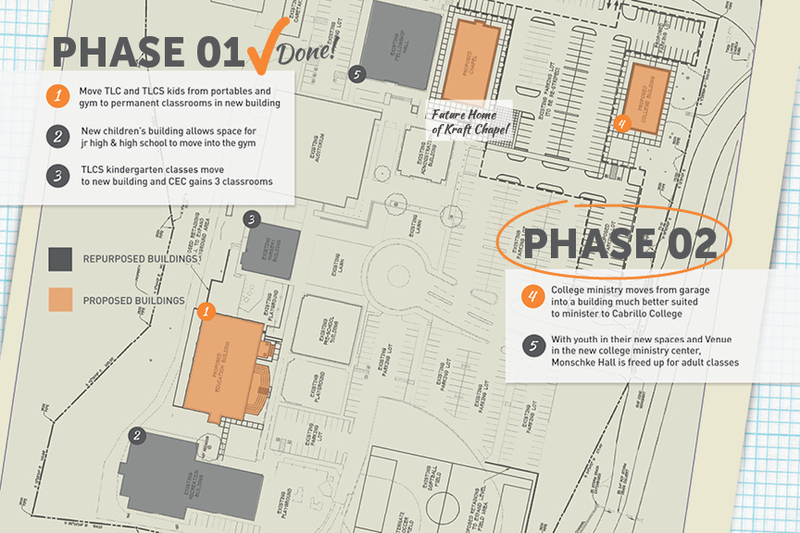 Provide permanent space on church campus for school-age children, youth, and college students by the year 2020 – thereby freeing up room for more adult ministry too! A digital walkthough of the building! Thanks for reading — and for your prayerful consideration about being part of TLC history!